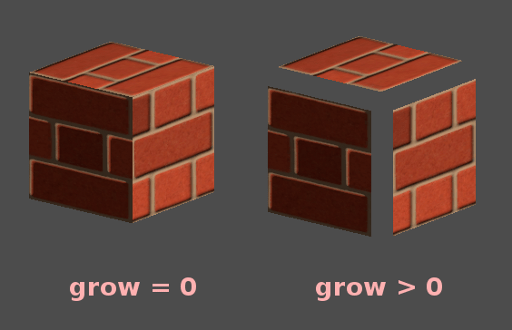 You can add a SpatialMaterial to an object by choosing "New SpatialMaterial" in the Material property of the Inspector. 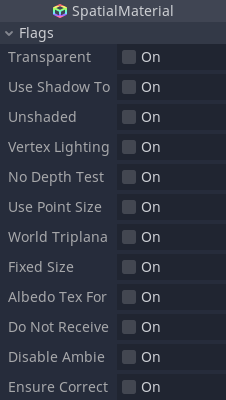 Blend mode set to other than "Mix"
This option is only effective when the geometry rendered is made of points (generally it's made of triangles when imported from 3D DCCs). If so, then those points can be resized (see below). Toon: Provides a hard cut for lighting, with smoothing affected by roughness. It is recommended you disable sky contribution from your environment's ambient light settings or disable ambient light in the spatial material to achieve a better effect. 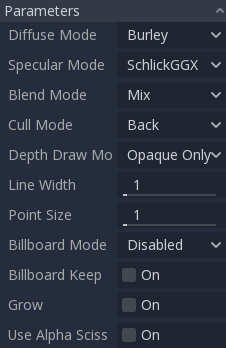 Enabled: Billboard mode is enabled, the object's -Z axis will always face the camera. Y-Billboard: The object's X axis will always be aligned with the camera. 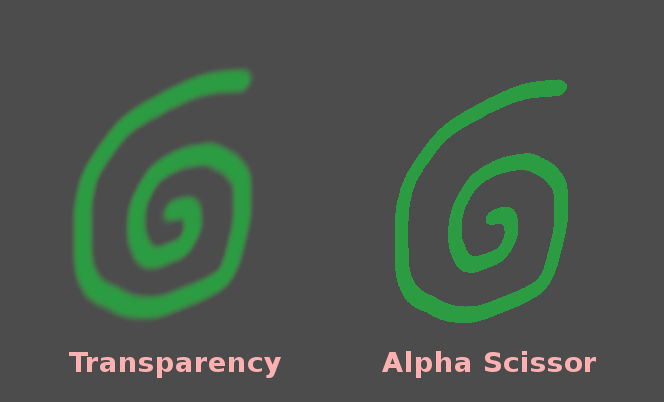 When transparency other than 0 or 1 is not needed, it's possible to set a threshold to prevent the object from rendering semi-transparent pixels. 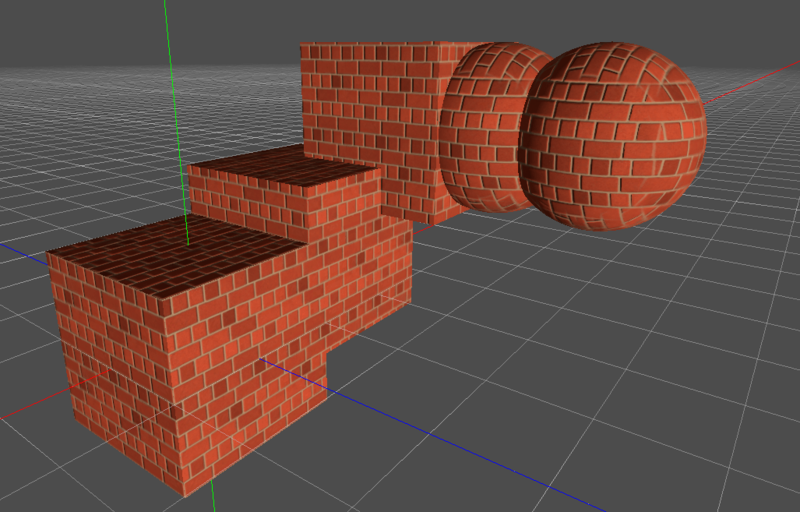 Godot uses a metallic model over competing models due to its simplicity. 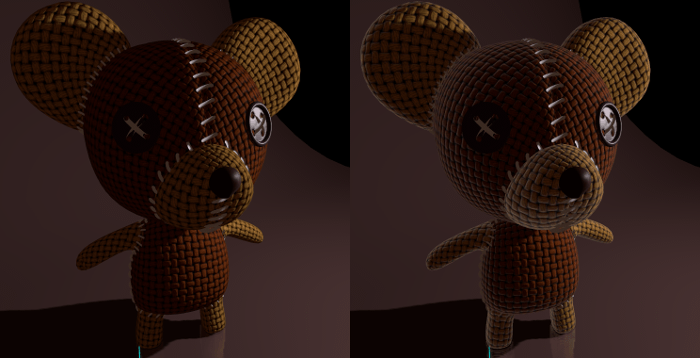 This parameter defines how reflective the material is. 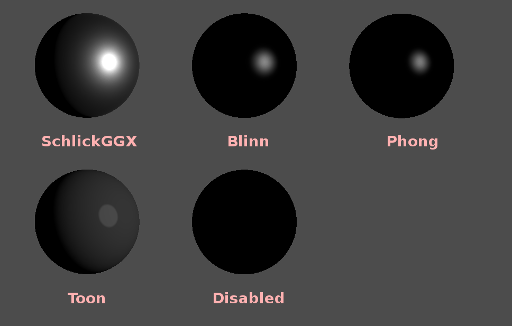 The more reflective, the less diffuse/ambient light affects the material and the more light is reflected. This model is called "energy-conserving". 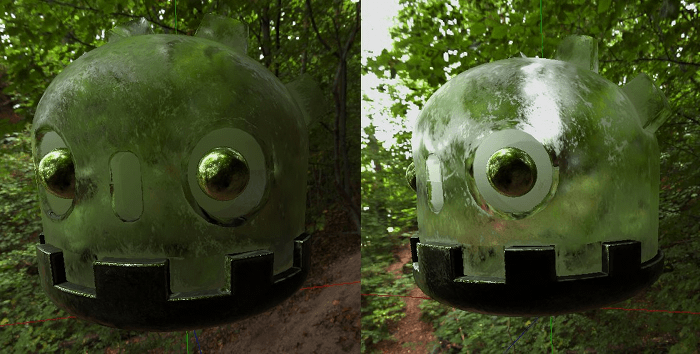 The Specular parameter is a general amount for the reflectivity (unlike Metallic, this is not energy-conserving, so leave it at 0.5 and don't touch it unless you need to). The minimum internal reflectivity is 0.04, so it's impossible to make a material completely unreflective, just like in real life. The Clearcoat parameter is used to add a secondary pass of transparent coat to the material. This is common in car paint and toys. 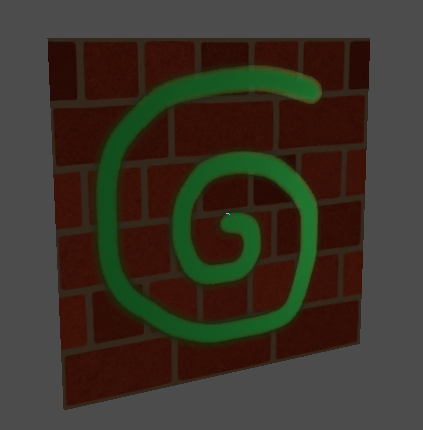 In practice, it's a smaller specular blob added on top of the existing material. This effect emulates light that penetrates an object's surface, is scattered, and then comes out. 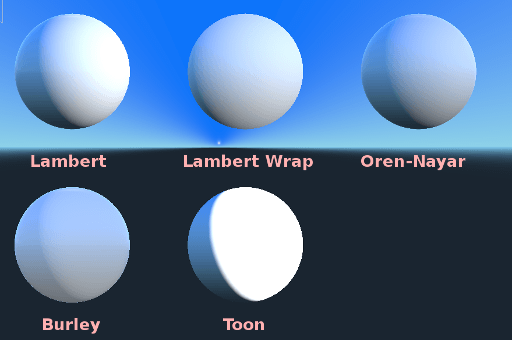 It is useful to create realistic skin, marble, colored liquids, etc. 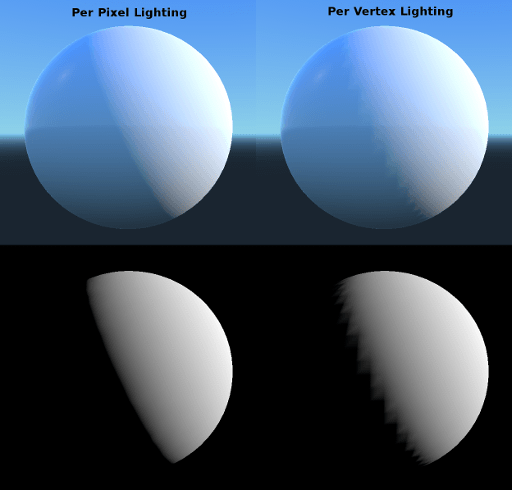 Triplanar mapping is supported for both UV1 and UV2. 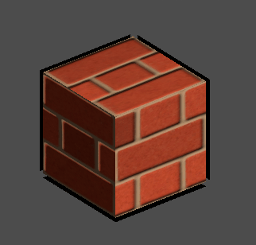 This is an alternative way to obtain texture coordinates, sometimes called "Autotexture". Textures are sampled in X, Y and Z and blended by the normal. Triplanar mapping can be performed in either world space or object space.